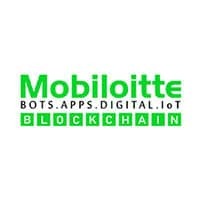 Mobiloitte is a premier, full-stack software development company, having an experience of over 13+ years. Working readily on developing prominent web and mobile app solutions for small to big enterprises. The company provides a diverse range of creative and innovative solutions for enhancing the productivity of the clients’ businesses. Mobiloitte has worked with industries like Healthcare, Hospitality, Telecom, Entertainment and Music, On-Demand Business Solutions, etc.